I was having some issues with my Epson XP-430’s scanner and thought I’d try upgrading to the latest firmware. After the upgrade, it identified that I had installed 3rd party ink cartridges — as I have a legal right to do — and refused to print unless I replaced them with genuine, vastly overpriced, rip-off Epson cartridges. So I decided to downgrade the software to restore the previous behavior. Here’s how I did that. (I’m on a Mac running High Sierra, if that matters). Next, I plugged into the printer with a USB cable to the back connector. Then, I turned on the printer in Firmware load mode: I held down the stop (circle with triangle), left arrow, home buttons all at once and, without releasing them, pressed the power button. A very sparse white type on black screen came up. I then ran the installer, which identified the printer and the firmware that I downloaded. I let it load the firmware into the printer. At some point the printer screen fills with a completion message, and I pressed OK. The printer restarted. Before I started this, I had removed all the print cartridges and turned the printer on, so it thought the problem was no cartridges, not non-Epson cartridges, but I’m not sure that’s needed. I’ve just updated the list of senator twitter accounts to reflect the swearing in of Tina Smith and Doug Jones, and also cleaned up other senator accounts. 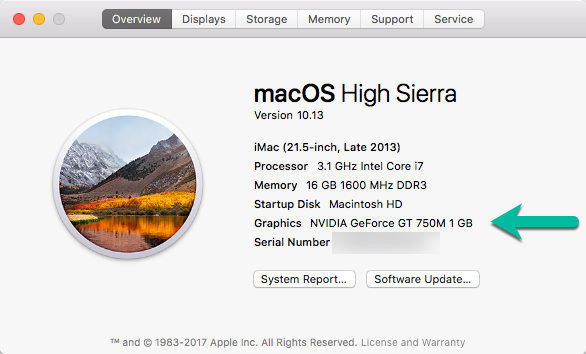 I recently upgraded my iMac to High Sierra, and all of a sudden once or twice a day it would lock up. The mouse would work, and if I had audio playing it kept working. But no matter what I clicked or what I typed, the screen was otherwise frozen. Eventually I’d give up and power the computer off and on. I found lots of vague, similar sounding complaints on the web, but in the end I determined that the problem was due to a driver problem with my NVIDIA GPU. Here’s how I fixed it. First, do you really have an NVIDIA GPU? Do you have an NVIDIA GPU? If not, then I probably can’t help you. If you do, then you have two things you can do to try to fix this. Change GPU Rasterization to Disabled. That seems to fix the problem, at the cost of a bit of lost performance. But it’s also a good first test — if this fixes it, then you know you’ve found the right cause. Instead of using the drivers Apple supplies with High Sierra, you can use NVIDIA’s own drivers. Note that if you read this after this is written (November 1, 2017 December 6, 2017), there may well be newer and better drivers. 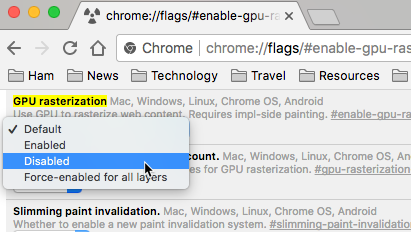 Installing this driver fixed the problem for me, and so I turned Chrome’s GPU rasterization setting back to Default. And then the problem crept back, so I’ve turned the GPU rasterization off again until NVidia reports that the drivers are no longer beta for my machine. There are a bunch of applications that have their own, embedded version of Chrome — Slack, Atom, etc. I’m not sure if you change the flags in Chrome whether it affects them or not, but I think it does not. 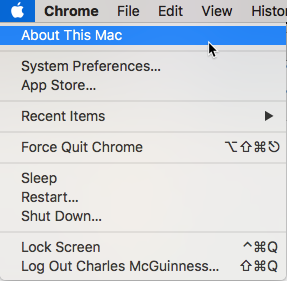 So if you have one of them open too, you may still get a lockup even if you’ve changed Chrome’s settings. Updating the driver seems to fix them all. I recently upgraded this server from PHP 5 and Debian 7 “Wheezy” to PHP 7 and Debian 9″Stretch”, and everything seemed fine. Except that all my permalinks stopped working. I’m running Apache (2) as my web server, and it had been working fine with PHP 5, so at first I assumed it was something with PHP 7. There were some places where my config files needed to be updated for PHP 7, but that wasn’t the problem. And after restarting apache2, it all worked (bolding just to show the change). There’s a kind of book that I call an inadvertent great book: a book that had modest or narrow goals, and yet ends up teaching us something profound about the human experience. Somehow, inadvertently, the book turns out to be a useful metaphor for a much broader range of subjects, and offers insights that reveal something previously hidden in the real world. Note that I won’t focus on books that are merely intentionally great — books that might exceed expectations but are in-line with what the author intended. There are many of those, and it’s easy to find discussions about them. I’m focusing on books that you might pass over again and again, thinking that the subject is irrelevant to your life or the topic uninteresting. The books I review are often intentionally great in their topic, but are nonetheless inadvertently great in general.